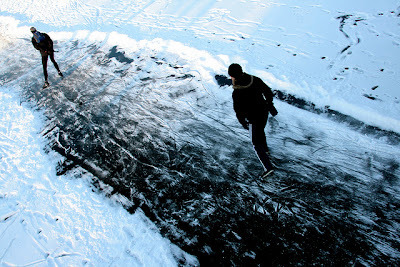 In February 2012, the Netherlands was once more suffering from Elfstedentocht fever: this ice skating race over 200 km can only be held in rare circumstances, and for awhile it looked like it might happen that year. It did not. This shot was used on a number of Dutch news web sites that discussed the possibilities of the race going ahead.